Is 3-4 kill/death ratio can join top 10? Edited by Kaijester, 21 May 2016 - 03:41 AM. What is a 'Fearless'? Is it any good...? Wait what?! Thats a tank..!? I've got rammed by my teammate, so he can get the kill. This is one of those contests that favors the unicums and super unicums... anyone without current avg. Kill/Death ratio > 2.5 has little chance of joining the top 50. Since the R2.9, good number of the top players have been absent or participated minimally. Maybe this contest will help bring them back, and a chance to win the Fearless that only Pimp has on Asia server! Come to think of it, any decent enough toon can probably give it a pretty good shot. Don't need to be a unicum as such. Just play the 100 game tooned, and if you get some luck on yourside, you can probably crack the 10 mark. Then just take a break til the event ends. Edited by Mehliveat, 22 May 2016 - 11:00 AM. I have a low kill\death ratio in my standard profile in game but my actual kill/death ration in more recent stats is round 2.5 will I get a fearless even though my in game kill/death ratio is low? Who is the real Fearless in this picture? Is it 4 kill, who only just picked up the last shot? Or is the Cromwell who make over 2000+ damge effort and carry the whole team to victory? which one is the real Fearless? unfortunetly, Cromwell did a great job but cannot pick up the last kill to improve Kill/Death ratio. the true fearless player cannot get is6 fearless base on status. Edited by shoutaoh, 25 May 2016 - 12:15 PM. Just to confirm: Is the kill death ratio infinity if I don't die during the period? Yes, if you manage to play 100 battles at tier 5 or above and not get killed at all, your chance of winning this event is 99.9%. No. It'll just be the number of tanks you manage to destroy. According to the rules, it's based on Kills/Death ratio, so your feedback is not entirely correct that it's based on tank destroyed only. If I have interpret rule #3 incorrectly, please kindly let me know. My reply was based more on practically rather than Maths. It could also be argued that having a 0 destroyed count would result in an erroneous KDR and disregarded. I highly doubt that anyone would be able to survive 100 battles without getting destroyed at least once. lol, everyone is going for the kill shot. 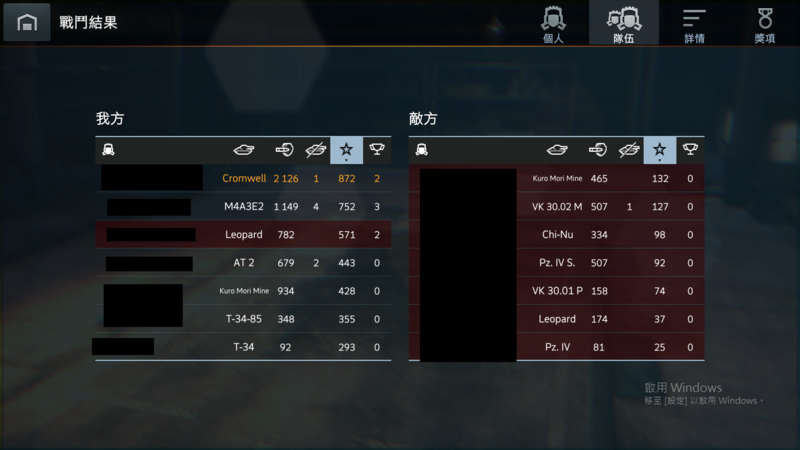 WG should make it damage ratio instead of kill ratio. This kill ratio competition makes players ram(in the same team), block and do everything to get the kill. Therefore, damage ratio competition which requires players' cooperation is more appropriate. Edited by yukionfire, 25 May 2016 - 10:28 AM. Edited by Mehliveat, 23 May 2016 - 10:49 AM. Actually, the IS-6 Fearless is a prize tank. It will not likely be sold in the shop.